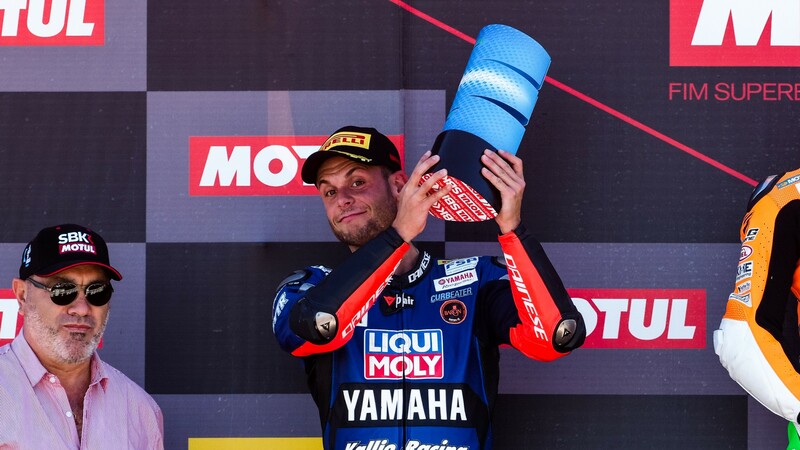 Sandro Cortese (Kallio Racing) did not win in Argentina but he got the job done, just as he did two weeks earlier at Magny-Cours. The championship leader entered the French Round knowing that with three second-place finishes in the final three rounds he would be the new FIM Supersport World Champion come Qatar. Two challenging races down and one to go, he stands 20 points (or less) away from becoming a world champion again. 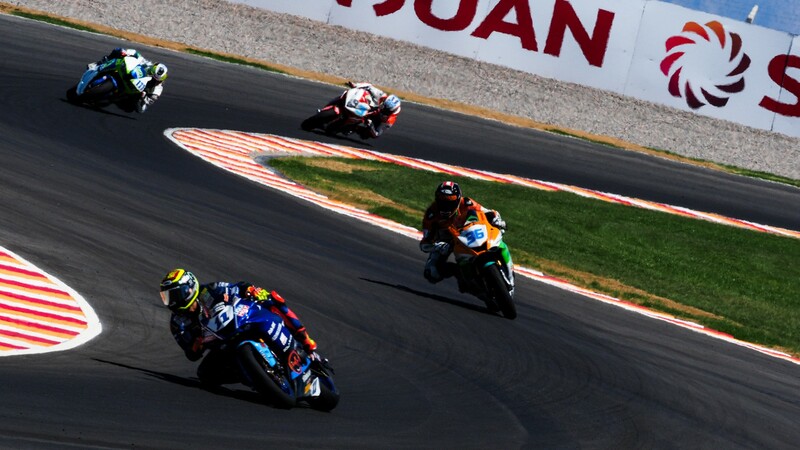 Cortese overcame several issues in Free Practice at the Circuito San Juan Villicum to qualify on the front row, but then struggled again in the opening stages of the penultimate race of 2018. The German had a slow start from the lights and almost immediately fell to fourth position, with main championship rival Jules Cluzel (NRT) leading the way. 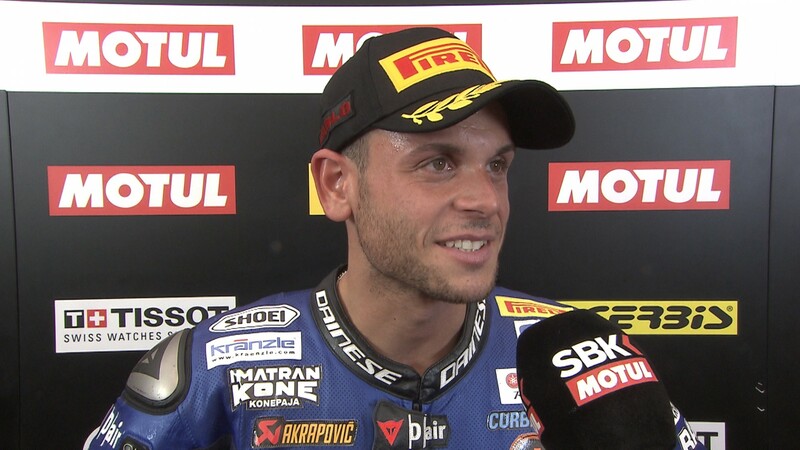 But the former Moto3™ champion kept his cool, taking few risks and counting on the better overall pace of his R6 in the latter stages of the race to pick off Corentin Perolari (GMT94 Yamaha) and Lucas Mahias (GRT Yamaha Official WorldSSP Team). His late rhythm was so good that Cortese believes it might have been enough to even take the race lead, with a couple of extra laps: “It was a good race at the end. I was just missing a few laps, if the race could have been a little bit longer… I had grip problems in the first ten laps, I didn’t find any kind of grip. As the race went on I became faster, but I just was not able to attack Jules today”. “My goal was, if I can’t beat him on the track, I want to be straight behind him”, the championship leader admits. “I did it, we still lead by six points. It’s an important six points, because you never know how Qatar is. The most important thing of all is arriving there with a lead”. Will Cortese take the title? Watch the final round of the World Supersport season live and OnDemand thanks to WorldSBK VIdeoPass. 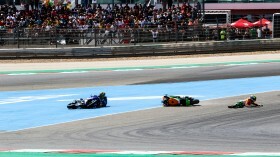 Cortese: "At the end of the day we both deserved it"